Officer Joshua Shelton, 33, remembers the time he first saw a homicide victim; a young, black man who had been shot and killed. The victim was left dying on his feet while his family, including a small child, was upstairs. 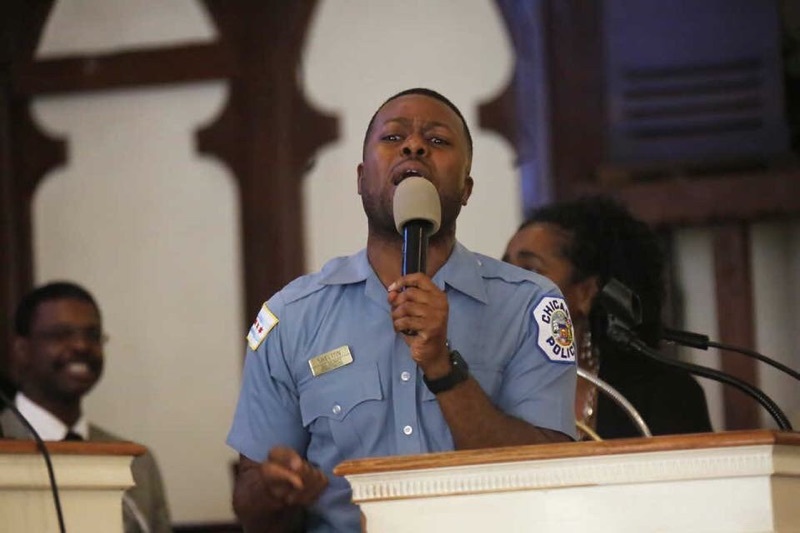 Shelton, who is seeking a Masters Degree in Urban Leadership at Northern Seminary’s South Side Center, works full-time as the faith-based liaison with the Chicago Police Department’s 7th District in the Englewood neighborhood. It is in Englewood, with a declining population of about 35,000 residents, that he has come face-to-face with not only death, violence, and crime, but also the effects of poverty, under-resourced public schools, a lack of mental health services, economic opportunity and gainful employment for both youth and adults. The soft-spoken officer said it was his work in the 7th District that led him to the next phase of his pedagogical journey when he was invited to enroll in Northern Seminary South Side campus. Students enrolled in the program engage complex social and cultural issues facing urban communities, including systemic racism, poverty, violence, and incarceration.